It’s almost that time of the year that we’ve all been eagerly awaiting, the start of the 2018 FIA Formula One Championship. With the date set for the 25th of March to kick off the first Formula One event, the Australian Grand Prix, you are being given exclusive access to a bespoke streaming platform designed for the absolute best way to watch the all of the F1 events, live, right as they’re happening. 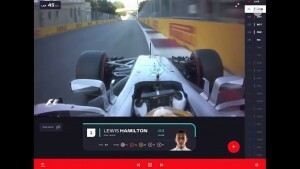 This unique opportunity has been presented by none other than Formula One themselves, so you can expect the most exclusive content to be readily available to be streamed directly to you. Of course, this will be the biggest digital investment by the Formula One Group to date and will mark the beginning of a transformation of the series into the new digital and on-demand world. What is Formula One TV? F1 TV will be one of the first streaming services of its kind. A subscription model based on other streaming services, F1 TV will give subscribers the opportunity to watch every event of 2018 FIA Formula One Championship as its happening, live, without the burden of commercial breaks or distracting advertisements. Users who subscribe to F1 TV will be able to stream Grand Prix events and stream the F1 Championship directly to their web browsers, smartphones or tablets as well as have exclusive access to each of the driver’s otherwise unavailable onboard cameras so you can see the race from each driver’s perspective and with the ability to flick between driver’s personal cameras, you’ll be able to get a personal feel for each of the racer’s journey through the Grand Prix events. All of the pre-race interviews and the post-race interviews. You can get all of the excitement and involvement in the Formula One Championship right from within your own home. How much does F1 TV cost? F1 TV is going to come in two different flavours, you’re either going to want to be purchasing F1 TV Access or F1 TV Pro and they’re two very different products. F1 TV Pro will be the main course for F1 TV, giving you full access to all of the above features for one set price. Now, speaking of price, the only information we’ve been given so far regarding price is that F1 TV Pro will be offered as either a monthly subscription or an annual subscription. The monthly subscription will cost between $8 and $12, per month and the annual prices will vary as per the market. If you’re lucky enough to be able to watch some of the Formula 1 Grand Prix events in person, then you might want to visit Sportevents.me, one of the leading companies for providing bespoke VIP experiences for the Formula One Championships. The events offered by Sportevents.me range in price depending on what you’re looking for at any of the Grand Prix events this year.